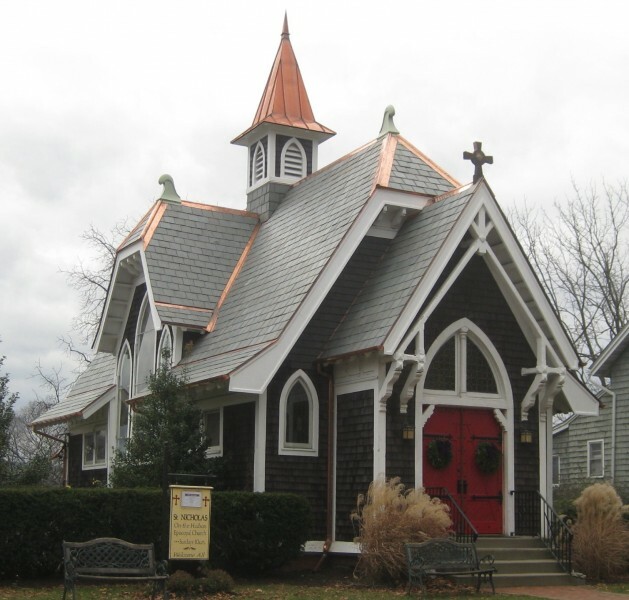 The project included replacement of slate roofing to match the original. 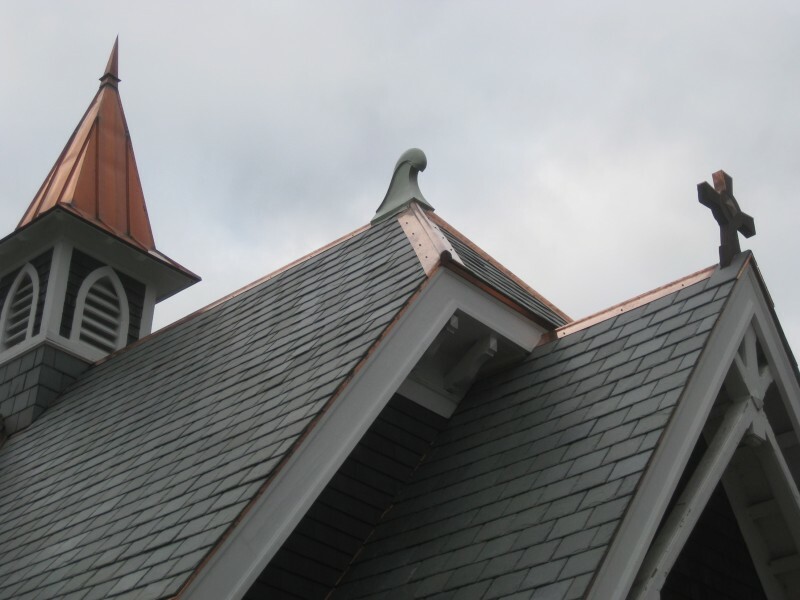 Hip & ridge rolls were replicated, and finials were restored with fluid-applied coating. 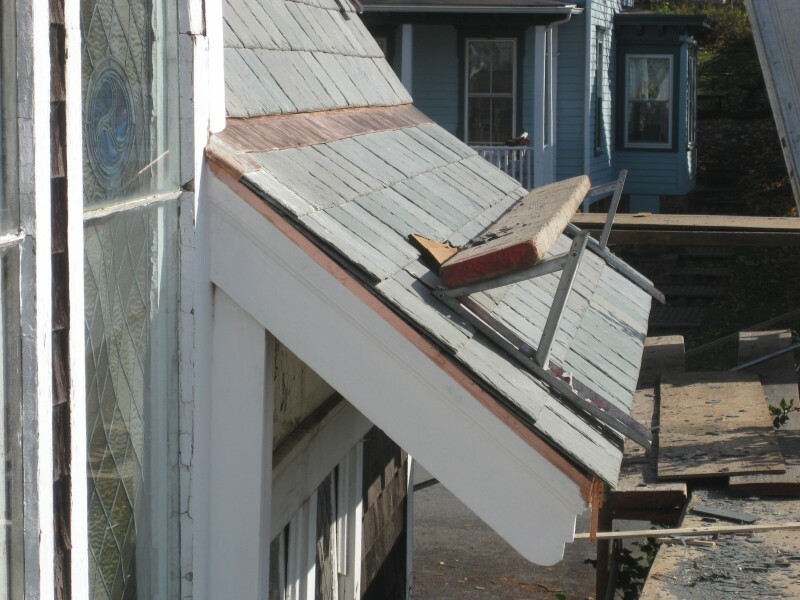 Siding was removed to allow for replacement of flashings at walls. 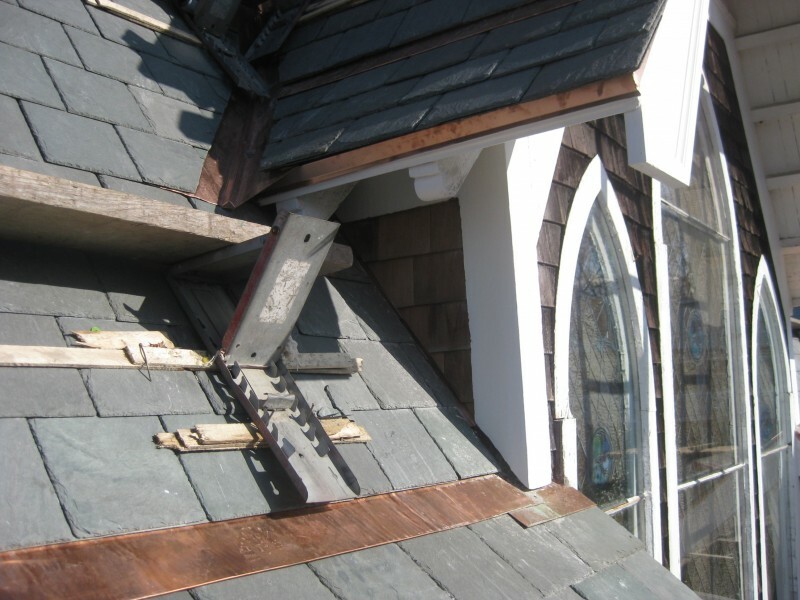 Inappropriate gutters & leaders were replaced to retain the historic character of the St. Nicholas Church.